HulkTV.net Joins The KryptonSite/ KSiteTV Network! Word came out recently that The Hulk would be smashing his way back to television screens courtesy of Marvel Television and ABC, and that seemed like just as good of a time as any to add a Hulk destination to our network of websites. 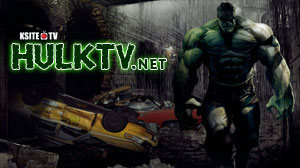 HulkTV.net is now the first dedicated fan destination for the possible ABC Hulk, and it follows KryptonSite, GothamClockTower, Target419 and more in our wave of covering comic book inspired television. We’ve also recently launched WonderWomanTV in case the Warner Bros. Wonder Woman project goes anywhere, as well. Now, for all we know this could be another Aquaman; if it is, at least we can say that we spread the news while it was out there. These two site launches come around the same time we are shutting down two of our current sites. PowersTV.com is closing (although it will exist archivally). Although it seems the Brian Michael Bendis adaptation is gaining traction, we think KSiteTV will be a better place to cover it and spread the news to a wider audience, and being here alongside news about that other big creator-owned show The Walking Dead just seemed to fit. The other closure is Gleeksite. There are others who could do a much better job of a dedicated GLEE website, and that show is another we’ll be covering here more extensively on KSiteTV in the future instead. Unless it is a major comic book-inspired project, we’ll be skipping the dedicated site thing and keeping all news here at KSiteTV. Thanks as always for visiting the KSiteTV network of sites. Here’s the current line-up of individual network sites those of you keeping track. Various sites for now-canceled shows that have existed in the network still will exist archivally. Also be aware that if any really major news comes from any of these projects, you can also read about it here. Avengersite Marvel Movies – Captain America, Thor, Iron Man, X-Men First Class, Spider-Man, etc.